Today the Venice Stakeholders Association filed a lawsuit against the City of Los Angeles and the California Coastal Commission, challenging their approval of a 154-bed homeless shelter in the Venice neighborhood, in violation of the California Environmental Quality Act (CEQA), the California Coastal Act and other laws. The City’s so-called “Bridge Housing” facility would be located in the middle of a residential neighborhood just one block from Venice Beach. It includes a large semi-permanent “tent” building containing a 100-bed dormitory, an outdoor dining area, a large outdoor kennel for residents’ pets, and several other buildings. Despite having 154 beds and dozens of staff, the project would have as little as 20 parking spaces. According to the lawsuit, the City approved the project “at lightning speed,” in just 11 days, while the Coastal Commission approved it in just nine days. The Venice Neighborhood Council, which is elected by Venice residents, was not even consulted. “The neighbors and the public were ambushed,” said Ryavec. The VSA lawsuit says that the City refused to do any environmental review for the project under CEQA, and the Coastal Commission granted the City a waiver from the usual requirement of a Coastal Development Permit, thereby avoiding any analysis of the impacts of the project on coastal resources such as parking and water quality. “Just because the City and the Coastal Commission think this project will benefit the public doesn’t mean they can avoid considering its impacts under the environmental laws and the Coastal Act,” said Ryavec. He noted that other beneficial projects, such as hospitals and schools, must comply with these same laws. The VSA is still collecting funds to support this lawsuit. 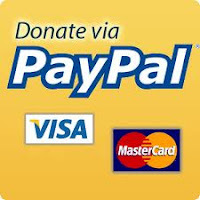 Donations may be made on this site to the right by credit card.